For complete information on the Dental Hygiene program, please visit the program section of the John Abbott website. Debbie DesRivières began her teaching career in the Dental Hygiene Department of John Abbott College in the fall of 1998. She was awarded a Bachelor of Science degree in Geology from McGill University in 1987 and received a DEC in Dental Hygiene from John Abbott College in 1991.The following year she completed the Residency Program at the Jewish General Hospital. She has 18 years of experience as a dental hygienist having worked in a private dental clinic. Debbie developed the 'Advanced Periodontology' course which she has taught for the past 11 years. 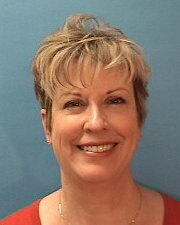 In addition to being a clinical instructor she also teaches Health and Safety and Periodontal Instrumentation. Debbie is currently enrolled in the Master’s Teachers Program offered through the University of Sherbrooke and in August 2014 received a Graduate Certificate in College Teaching. 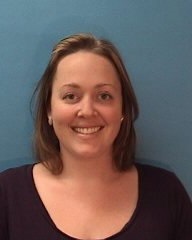 Tess Emery joined John Abbott College’s Faculty of Dental Hygiene in 2012. She holds a Bachelor degree in Human Relations and Education from Concordia University, and is currently completing her Master’s degree at Waterloo University in Health Evaluation. She has worked as a dental hygienist in private practice in Ontario and Quebec since 2007. In addition to teaching Public Dental Health since 2014, she co-created a continuing education course for nurses ‘Geriatric Oral Health’. In 2018, she will be teaching Introduction to Periodontics, Instrumentation (lab), Clinic I (theory and lab), as well as co-teaching Public Dental Health. What she enjoys most about working at JAC is collaborating with her colleagues and supporting the students in their educational career. Christine Fambely has over 35 years of experience as a licensed Dental Hygienist. Once completing her studies at Concordia University with a Certificate in Health Education and her Bachelor's degree, she received a Master’s in Education from McGill University. She teaches Dental Anatomy and Head and Neck Examination to first year dental hygiene students. When the students are in their last year of the program her focus is on Orthodontics as well as the clinical experience. Christine enjoys seeing the students become more confident and experienced future professionals over the three years of the program. Nancy Graham Lépine has taught in the department of Dental Hygiene since 2008 as laboratory technician and since 2012 as clinical instructor. Since 2013 has taught Prosthodontics and currently also teaches Integration into the Workplace. John Abbott graduate with over 30 years experience in private practice dentistry including specialties of prosthodontics, pedodontics, periodontics and general dentistry. Graduate of Concordia University in 1986 with B.A. including a concentration in Health Education and Applied Social Science and completed a Graduate Diploma in Education from Université de Sherbrooke in 2016. 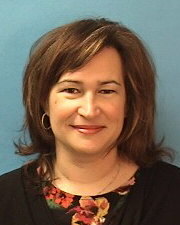 Anila Hasko joined the faculty of Dental Hygiene at John Abbott College in the winter of 2008. Originally from Albania, where in 1992 she was awarded a Doctor of Dental Surgery from the University of Tirana Faculty, Anila practiced her profession for 6 years before moving to Montreal. In 2002 she received a DEC in Dental Hygiene from John Abbott College and worked in private practice for 6 years before returning to John Abbott to teach. Anila received a Graduate Certificate in College Teaching from Université de Sherbrooke in Aug. 2014 where she is currently enrolled in the Master’s Teachers program. During her career as an educator at John Abbott Anila has brought her expertise and experience to many courses in the dental hygiene program including: Prevention I & II, Pharmacology, Radiology, Nutrition: Oral Health, Public Dental Health Fieldwork, Public Dental Health (where she worked as a content adviser of the adopted text), clinical instructor in Clinic I, II and III and more recently Restorative Dentistry. She anticipates many more years of enjoying this rewarding profession. Patricia Laforce has over 20 years of dental hygiene experience. After graduating from Cegep Edouard Montpetit Patricia participated in a residency in Dental Hygiene at the Jewish General Hospital. 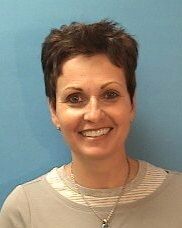 She has been a member of the Dental Hygiene department since 1998. Patricia obtained a Certificate in Dental Hygiene from Université de Montréal (UQAM) and also a Bachelor en enseignement en formation professionnelle et technique de (UQAM). She has expertise in many areas of dental hygiene including: Prevention, Prosthodontics, Restorative, Periodontal Instrumentation and Orthodontics. After having enjoyed a 30 year career in clinical Dental Hygiene practice, Catherine McConnell joined the faculty of John Abbott College’s Department of Dental Hygiene in 2012. 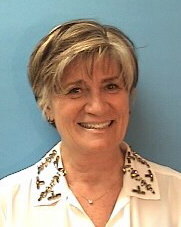 An alumnus of the John Abbott College Dental Hygiene Program (1986) and a firm believer in lifelong learning, Catherine pursued further education at The University of British Columbia, where she obtained a Bachelor of Dental Science degree in Dental Hygiene (2012), as well as a Masters degree in Adult Education (2014). In her current role, Catherine teaches Prevention I, Clinic I, II and III and is the acting Clinic Coordinator and clinician. She serves on several dental hygiene departmental committees as well as the John Abbott College Academic Standing and Advancement and Ad Hoc Pathways committees. Catherine is an active member of the Canadian Dental Hygienists’ Association (CDHA). 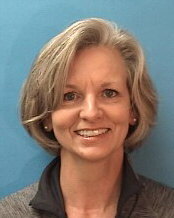 Kitty Moss joined the faculty of the Department of Dental Hygiene in 1999. A graduate of Concordia University (BA 1980) and a DEC from John Abbott in Dental Hygiene (1990), Kitty enjoyed 16 years of clinical practice in private dental clinics prior to accepting a full time teaching position at John Abbott. Within the department Kitty has taught Prosthodontics and is currently teaching Introduction to Periodontics, Clinic I (lecture and clinical), Clinic II and III clinical as well as instructing in Periodontal Instrumentation Laboratory sessions. 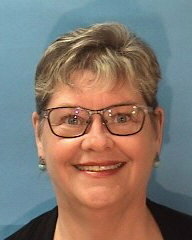 She is a member of the Comprehensive Assessment Committee, Course Outline Committee and Harmonization Committee and has enjoyed participating in Open House and Parents’ Night events. Kitty, as a member of several accreditation site visit teams organized by the Commission on Dental Accreditation of Canada, has had the privilege of visiting dental hygiene schools in British Columbia, Ontario and New Brunswick. What she enjoys most about teaching is the satisfaction derived from being a part of educating future healthcare professionals. 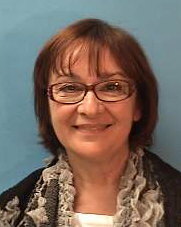 Amilia Peskir, also known as Mila, has been a member of Department of Dental Hygiene since 1983. She holds a Bachelor degree in General Agriculture with a major in microbiology from the University of McGill, as well as a Certificate in Teaching from Université de Sherbrooke. At John Abbott she has served on many departmental and college committees over the years. Mila has taught many courses in the program and is now teaching Radiology and Advance Periodontology along with supervising students in the clinical setting. 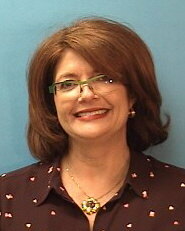 She also enjoyed working in private practice dental clinics during non-teaching times. Mila has participated in dental hygiene accreditation site visits across Canada. What she enjoys most about teaching at JAC is seeing students developing into professionals who care about the whole person. Josée Tessier is a graduate from John Abbott College Dental Hygiene program in 1987. In 2008 she obtained her license in Local Anaesthetic from University of Manitoba. She obtained her Bachelor in Education UQAM in 2012. Josée is presently doing her master’s in Education from Université de Sherbrooke. The courses taught are Introduction to the Profession and Advanced Periodontology. 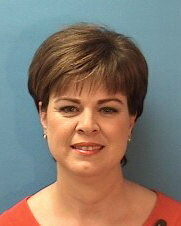 She also is a clinician in Clinic I, II, and III. Josée’s professional experience includes: 24 years in private practice as well as 3 years as a dental sales representative for a leading dental supply company. She has been on the Board of Directors of L'Ordre des hygiénistes dentaires du Québec (OHDQ) since 2007, President OHDQ 2012-2013 and since 2013 Vice President OHDQ. Francine Trudeau has been a member of John Abbott College’s Department of Dental Hygiene since 1988. An alumnus of John Abbott’s Dental Hygiene Program, she pursued her education at the Université de Montréal, where she obtained a Bachelor degree in Science in 1991, as well as a Masters of Education from the Université de Sherbrooke in 1997. During her career, she acquired experience in private practice, public health and industry. Her passion for the profession has led her to participate in several committees within the L’Ordre des hygiénistes dentaires du Québec. From the Professional Inspection Committee to the Executive Committee, she is now presently a member of le Comité de la Formation. She was one of the co-authors of the first Infection Control Manual published by the OHDQ. She has also participated in numerous site visits for the Commission on Dental Accreditation of Canada. 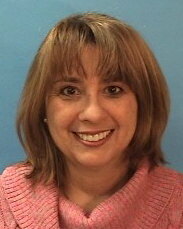 At JAC, Francine Trudeau has served as Clinical/Stage Coordinator of the Department and is presently the Chair. A Member of the Clinical Harmonization Committee, she enjoys providing the best clinical experience to prepare the future graduates’ integration into the workplace. For a complete list of courses available in Dental Hygiene, please visit our section of the Course Calendar. The work of dental hygienists can be divided into two areas – clinical practice and dental health education. The clinical aspect involves working in private dental office and hospital settings. The dental health education involves mainly working in community health centres to prevent tooth decay and gum disease, as well as providing information on good nutrition. Dental hygienists can also work for dental health companies (industries). Dental hygienists are licensed health professionals who work as part of the dental team. The dental hygienist assumes an important role in caring for the oral health needs and the prevention of oral diseases within the general public. They assess clients’ oral health needs, take dental X-rays, design individual dental hygiene care plans, perform periodontal debridement (clean and polish teeth), insert fillings and apply other preventative measures. Dental hygienists also perform a variety of procedures related to orthodontics. While most John Abbott graduates enter the work force immediately, with 95% securing full-time employment, approximately 3% continue on to university or dental certificate programs. In accordance with Quebec’s Official Languages Act, l’Ordre des Hygiénistes Dentaires du Québec issues licenses to graduates with appropriate knowledge of French. A Quebec license is not needed to practice outside the province. The professional order shall not issue permits except to persons whose knowledge of the official language is appropriate to the practice of their profession. 3.3. He/she has obtained a secondary school certificate in Quebec after the school year 1985-86. In all other cases, a person must obtain a certificate issued by the Office de la langue française or defined equivalent by regulation of the Office.